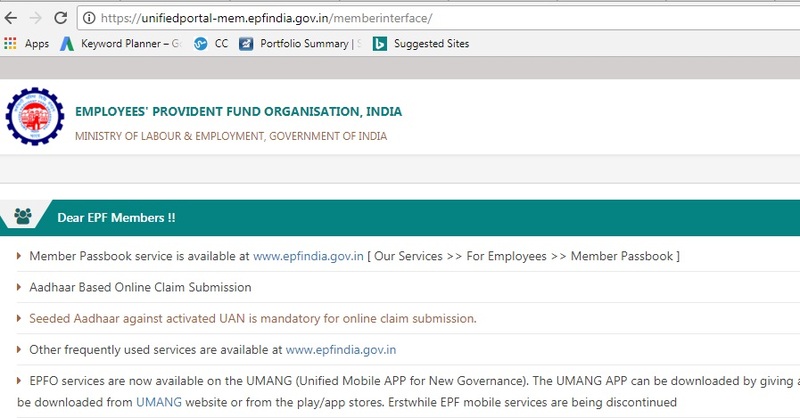 In the latest development Employee`s Provident Fund Organisation (EPFO) has established an online mechanism through which if any employee wants to generate his/her UAN number (Universal Account Number).Then he/she can easily generate his/her UAN through online process. In this Aadhaar card plays a vital role to generate own UAN number through online mode. In this process the employee can generate his/her UAN number by using his/her Aadhaar number. The whole process is involved with one-time password (OTP). Who can self-generate there UAN number? Those have registered their mobile number linked with their Aadhaar can only able to self-generate their own UAN number. Now sharpcareer will explain the process by which any employee whose Aadhaar number is linked with their registered mobile number can self-generate their own UAN (Universal Account Number). Now under the section of important links, you have to click the option saying” Direct UAN Allotment”. A new page will open which will be asking you to enter your Aadhaar number. Just enter your 12 digit Aadhaar number and press the button saying “Generate OTP”. Now the OTP (One Time Password) will be send to your registered mobile number. Now fill the OTP and accept the disclaimer option and press the option saying “submit”. A new page would open which will show your Personal details available as per Aadhaar card. You can verify your details and enter the requisite data in the mandatory fields (email id, Marital Status, Qualification). Now fill the text which is showing in captche and select the box of disclaimer. Once done press the option saying “Register Button”. As soon as you press registered button, you would be allocated your UAN number. Your UAN number would be displayed on the user screen. 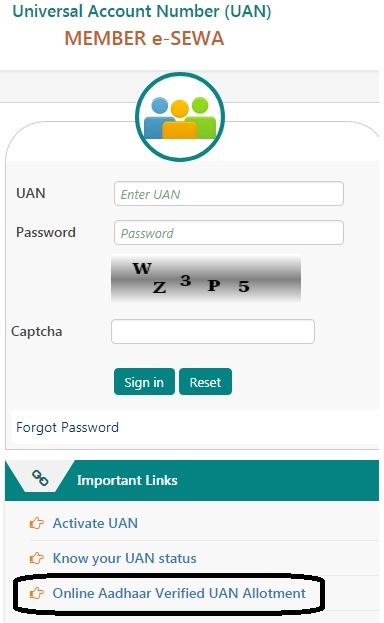 Once you have received your UAN number you need to activate your UAN number. For this you need to visit the official website UAN website. Now click the option saying Activate UAN. Whenever you join any new job you are supposed to provide your UAN number to employer. Then EPFO generate new member identification number (ID). Now this new member Id is linked with the existing Uan number. UAN stands for Universal account number. It is a 12 digit number which is allotted by EPFO (Employee Provident Fund Organisation).It is allotted to all employees who contribute to EPF. The UAN number allotted to employee remains the same throughout his/her life irrespective of the number of job changes made by his/her. Every employee whenever changes the job he/she is allotted with new member identification number (ID) by EPFO. This new member identification number (ID) is linked with his/her UAN (Universal account number). Every time the employee changes his/her job new ID is generated but linked with same old UAN (Universal account number).The new member identification number (ID) is requested by employer to EPFO. Due to this property of the employee can easily do various processes like Transfer EPF amount, EPF withdrawal, check the account balance. What is official website of UAN? What is official web link to check the status of UAN? Toll-free number for UAN number is 1800 118005.You can call the toll free number from 9.15 am to 5.45 pm on all seven days.